Seth’s journey began in Fort Rucker, AL, where he was born. Both his parents were in the U.S. Army and their travels took him from Alabama to Hawaii to Ohio, and then finally to Bangs, Texas in 1986. From that time, FBC Bangs has been a vital part in his spiritual formation. He met his wife, Amy, in high school and married her as soon as he could—literally the day after high school graduation—and they were subsequently blessed with two wonderful children who have grown up in the Lord and are now beginning to spread their wings and follow the Lord’s prompting in their lives. Amy and Seth enjoy spending time as a family, traveling to new places, and being dog parents to two “miniature” dachshunds. Seth received his BS in Practical Theology from Howard Payne University and followed that with a MA in Theology and Ministry from Howard Payne University, with a short stint of theological training at Logsdon Seminary in between the two. In 10 years of ministerial work, Seth has served in positions ranging from Senior Pastor to Youth Pastor and everything in between. Areas of experience include Christian Education, Youth Ministry, Family Ministry, and Pastoral Ministry. 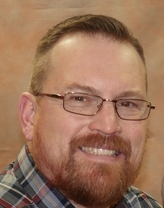 He also serves the Kingdom as an officer on the Heart of Texas Baptist Network Coordinating Board and as an Adjunct Professor of Old and New Testament at Howard Payne University.